#1 New York Times best-selling author of the Chief Inspector Armand Gamache novels, Louise Penny brings her “nerve and skill—as well as heart” (Maureen Corrigan, Washington Post) to selecting the best short mystery and crime fiction of the year. Writing short stories takes “Skill. Discipline. Knowledge of the form while not being formulaic,” contends Louise Penny in her introduction. “In a short story there is nowhere to hide. Each must be original, fresh, inspired.” Originality is just what’s in store for readers of the twenty clever, creative selections in The Best American Mystery Stories 2018. There’s no hiding from a Nigerian confidence game, a drug made of dinosaur bones, a bombing at an oil company, a reluctant gunfighter in the Old West, and the many other scams, dangers, and thrills lurking in its suspenseful pages. 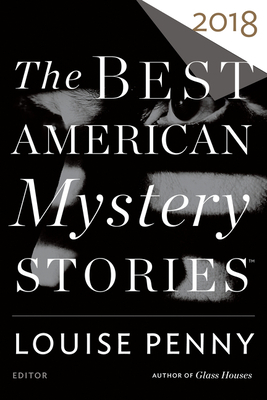 The Best American Mystery Stories 2018 includes T. C. Boyle, James Lee Burke, Lee Child, Michael Connelly, Charlaine Harris, Andrew Klavan, Martin Limón, Joyce Carol Oates, and others. Louise Penny is the #1 New York Times and Globe and Mail best-selling author of the Chief Inspector Armand Gamache novels (Still Life, A Fatal Grace, and The Cruelest Month). She has been awarded the John Creasey Dagger, Nero, and Barry Awards, as well as two each of the Arthur Ellis, Macavity, and Dilys Awards. Additionally, Louise has won five Agatha Awards and five Anthony Awards. She lives in a small village south of Montréal. OTTO PENZLER is a renowned mystery editor, publisher, columnist, and owner of New York’s The Mysterious Bookshop, the oldest and largest bookstore solely dedicated to mystery fiction. He has edited more than fifty crime-fiction anthologies. He lives in New York.